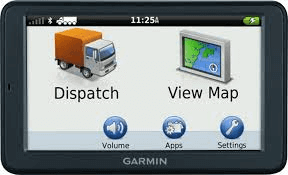 The Complete GPS Fleet Tracking System is a universal solution for fleets seeking continuous GPS Fleet Tracking Software. Featuring 24/7 web-based visibility, powerful reporting, automated alerts, and notification options, it is a very capable tool that can optimize your fleet while lowering costs. All the latest features you need, in a small design. Now you do not have to pay a lot to get a lot. Driver behavior posted speed alerts and IFTA all included for a small monthly price. Now with Safety Track’s Releases new interface. Safety Track offers a live demo of the complete GPS Fleet Tracking System with real vehicles to anyone that is interested. Safety Track’s Complete GPS Fleet Tracking System gives real-time visibility and allows fleet owners many benefits. Cost effective and driver friendly, the Driver Dispatch Fleet Management System was designed to provide companies with cutting edge tools for tracking, routing, dispatching and messaging. Reliable real-time wireless connectivity combined with voice-aided guidance make this the perfect tool for drivers, dispatchers and customer service.